Expert landscaping advice, tips, and news. Call today for a free evaluation of your property – and recommendations of how we can improve your enjoyment of it (978) 458-2145. For the best mulching services in Chelmsford MA, Tyngsborough, Lowell, Westford, Billierica, Dracut, Tewksbury and other Merrimack Valley towns please call (978) 458-2145 today. 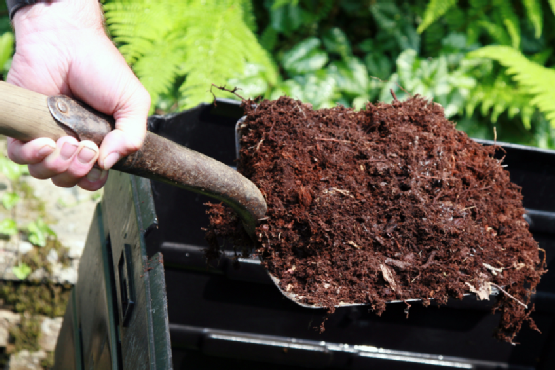 Other than the obvious aesthetic value, Did you know that mulch can also be great for your garden? Everyone knows that plants need water to grow; but in the summer heat, much of the water you give to your plants evaporates before they can be sufficiently nourished. Adding a layer of mulch to your garden solves this problem by retaining moisture and letting your plants get the water they need. All plants require some sunlight to survive, but too much can be a bad thing. Mulch retains moisture, so it also stays cooler during the hottest part of the day, giving your plants a cool buffer from the summer’s blaze. Watering your plants can actually cause them damage. Too much water pressure can kill frail plants or erode the soil around them until there’s not much left at the base. A layer of mulch not only reduces this erosion, but can also protect your plants from soil-borne fungal diseases that may splash up while watering. When you add a layer of mulch to your garden, you deprive weeds of all-important sunlight and discourage their growth. You may come across a resilient dandelion that grows up through the surface, but loose mulch should make it easy to uproot weeds. In addition to mulching, we provide a wide range of landscaping services to Northerneastern Massachusetts and southerm New Hampshire. Give us a call today at (978) 458-2145. We are based out of Chelmsford MA, but service all towns in the area including Lowell, Westford, Billerica, Dracut, Carlisle, Andover, Littleton, Tewksbury, Tyngsborough, Lawrence, Acton, Bedford, Concord, Wilmington, Groton, Burlington, Maynard and many more.